Bear River Estates is a new rural subdivision near Auburn, CA. 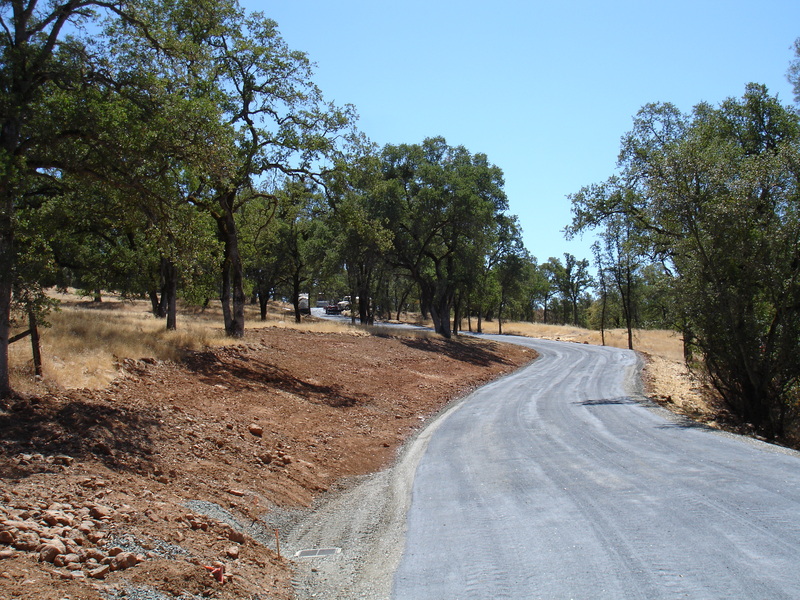 The developer chose natural looking aggregate roads, but Nevada County DOT required the main road to be paved in order to comply with fire department access rules due to grades in excess of 10%. 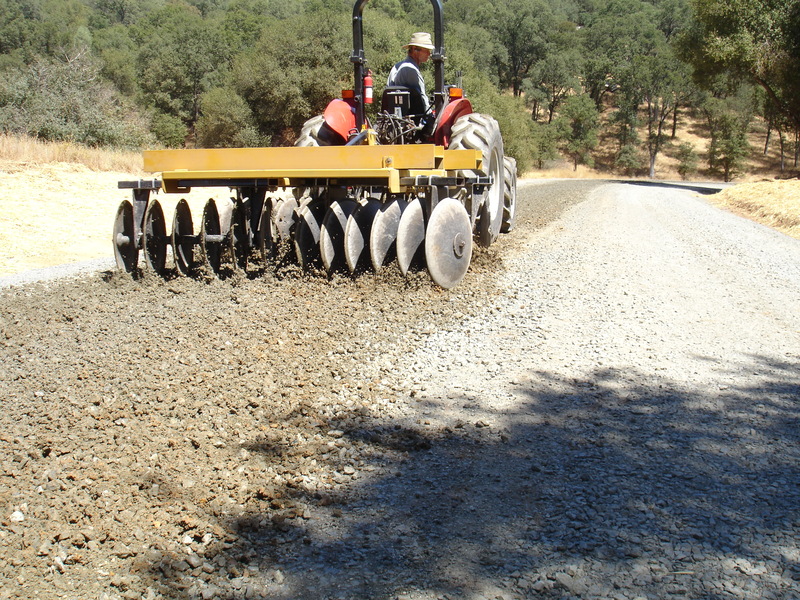 Thunder Mountain provided the solution with the technology for a permanent pavement alternative to asphalt that was less expensive than asphalt and maintained a natural ambience. 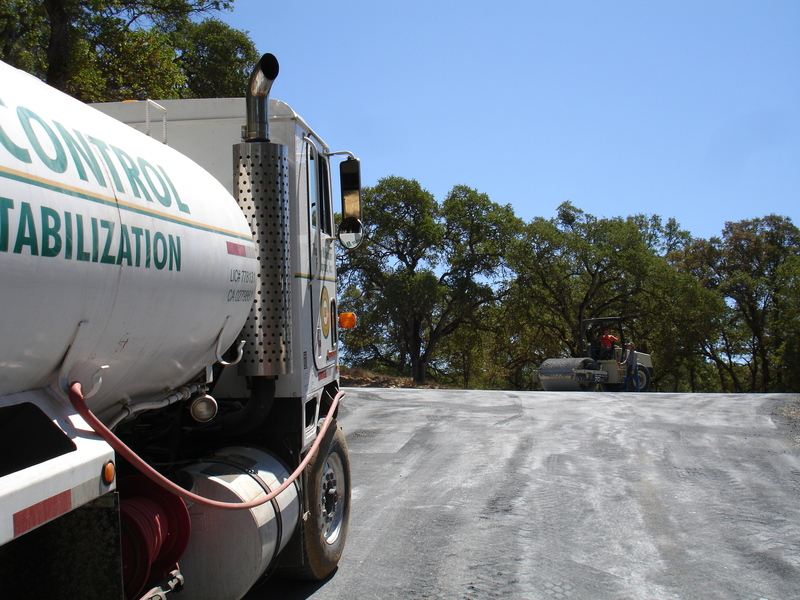 Thunder Mountain’s Polymer Stabilized Road Surface, doesn’t introduce hydrocarbons to the environment, and provides a cooler surface than Asphalt to minimize heat island effect.